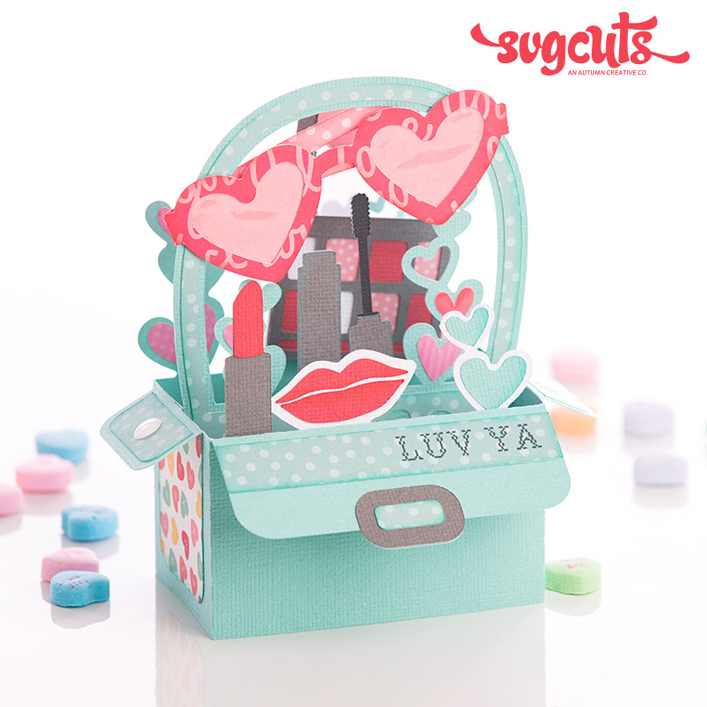 Crush on someone this February with a brand-new kit for Valentine's Day from SVGCuts. And imagine all the other use you'll get out of these pieces! 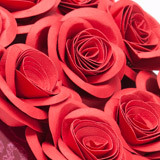 You get a gorgeous, all-new 3D Rose, which is gorgeous in red for Valentine's Day, and will be beautiful in light pink or white for Mother's Day and in hot pink this Summer. Compatible with Sure Cuts a Lot version 2.0, 3.0, eCAL, Make-The-Cut, Silhouette Studio Designer Edition. Square Box and Take Out Box will not work on 6x12 mats. 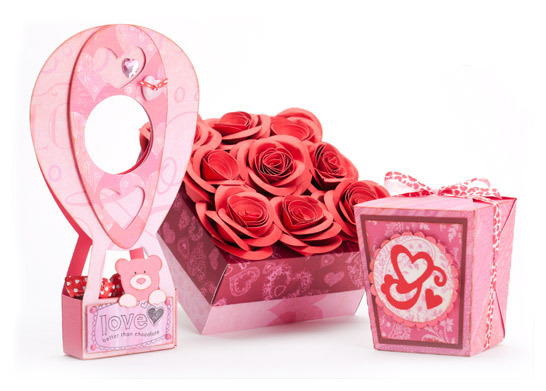 Create a single rose for any paper project, or create nine of them to affix to the lid of this pretty little box. 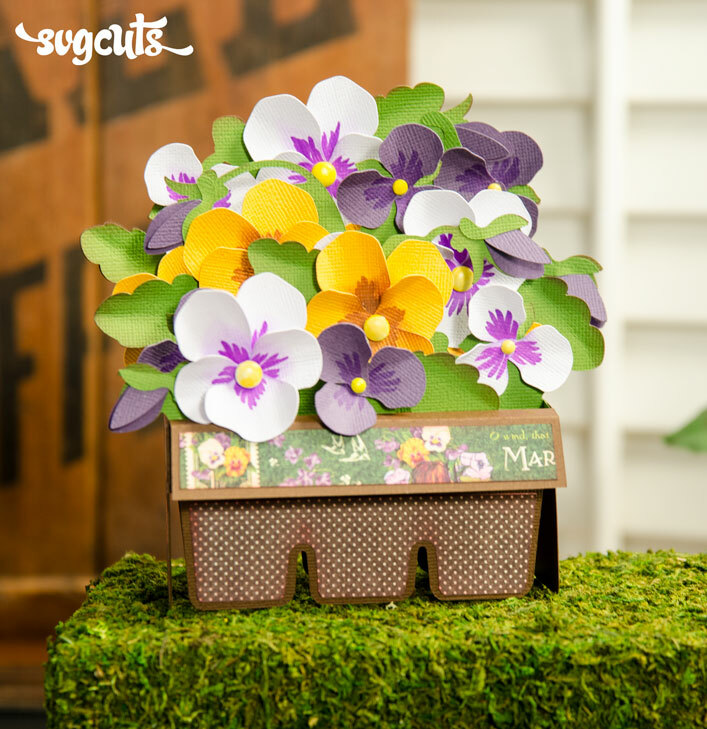 (Hot glue recommended for gluing the roses to the lid of the box.) 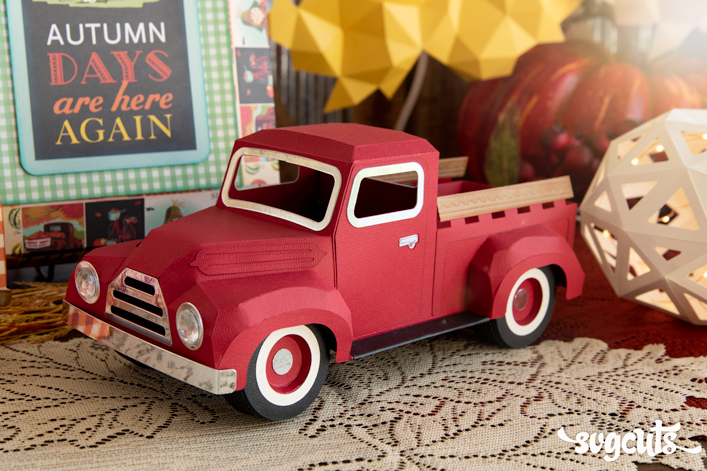 The little box is plain, but also all-new and so handy for gift-giving. It just takes two pieces of 12x12 paper (one for the lid and one for the bottom), and is easy to whip up. Create the adorable Hot Air Balloon Doorhanger with or without the hearts (so cute for a birthday), and it works on any size mat (even 12x6). The doorknob opening measures 2.3" across, perfect for a standard-sized doorknob. 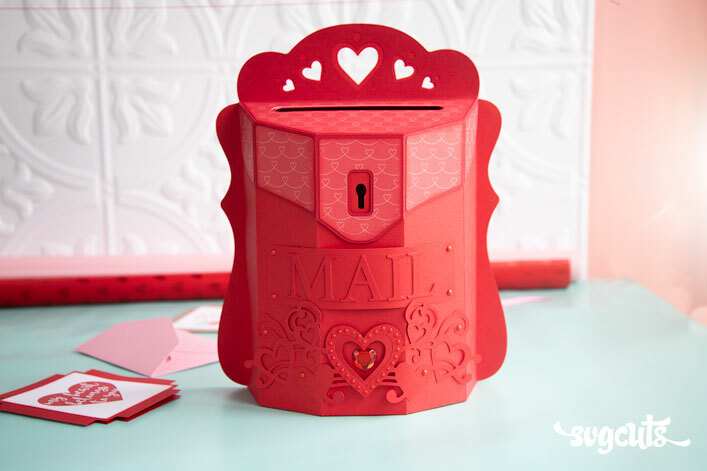 Stamp something sweet on the bear's basket, or cut out someone's name in a cute font for a personalized surprise. 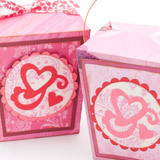 The Take Out Box is going to come in handy big-time for more than just Valentine's Day. 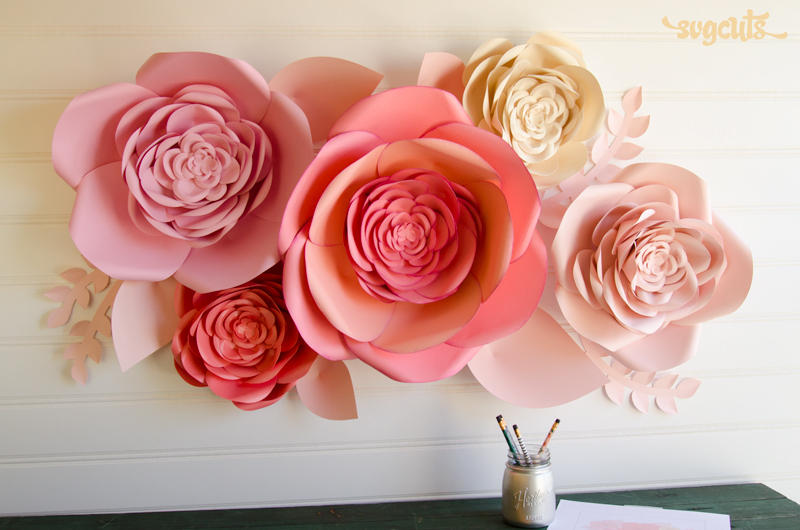 It's quick to cut out of a piece of 12x12 paper and assemble. Your machine does the scoring on this one, so folding is a breeze. You can finish it off with brads or a wire handle, or you could just glue or tape it together.